At Christmas time I was always a fan of those Danish Butter Cookies made by Royal Dansk. You know the ones that come in a blue tin with several different shaped cookies in them? Some are sprinkled with coarse sugar on top & some are plain. 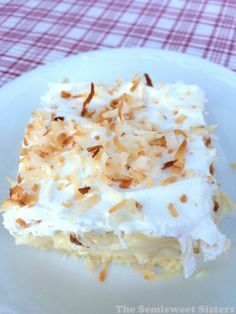 I searched the internet looking for a similar recipe & I finally found one that I liked. However the measurements were listed using the metric system & the conversions didn’t come out evenly so I tweaked the recipe to make it work in the U.S. 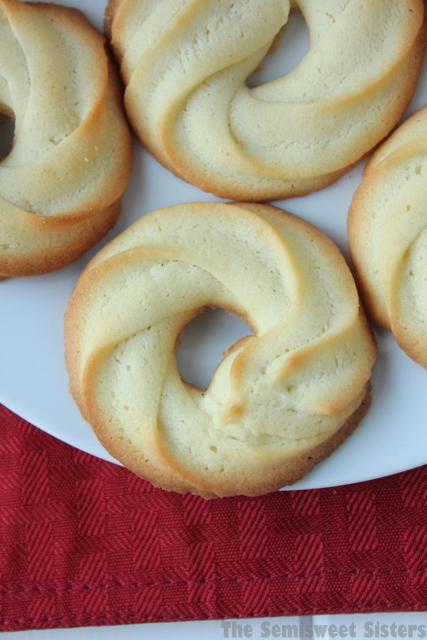 This recipe is supposed to be close to a traditional Danish Butter Cookie. The cookies turned out crisp & loaded with butter flavor which was just what I was hoping for. I didn’t add any coarse sugar on top of the cookies but only because I didn’t have any on hand. These would also be cute decorated with colored sprinkles on top. I piped the dough using Wilton disposable decorating bag with a Wilton 1M open star tip. My cookies turned out a little flat but I like them that way, if you want them a little thicker try adding 1-2 tablespoons more of flour to the recipe. Combine all ingredients in a large mixing bowl. Using an electric mixer, mix on low speed until well combined. 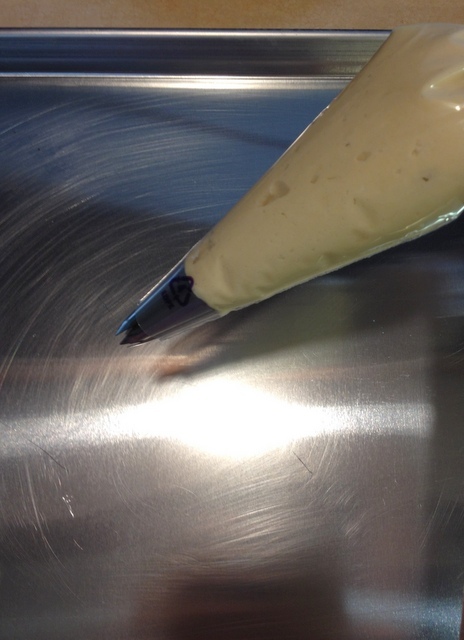 Fill a pastry/piping bag fitted with a star tip with dough. (I used a Wilton 1M tip). 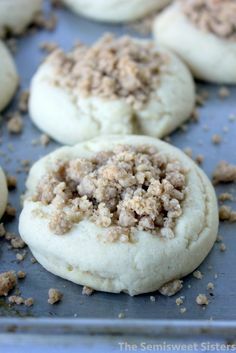 Pipe the dough onto the cookie sheet forming a circle. Hi Katie! I made cookies…really delicious. They weren’t spectacular as yours, but were well…really rich. Ah! Excuse my English. :) HAPPY NEW YEAR 2015! Hi Wanda! Thanks for the comment. I’m glad you liked them! Happy New Year to you too! I just made these. They turned out perfect and are soooo good! Made the cookies and they didn’t come out good. They spread like normal cookie dough does, they didn’t stay the shape it should have. Where did i go wrong? Oh no, I’m sorry to hear that your cookies didn’t turn out. The only thing I can think of is maybe the dough wasn’t thick enough & needed some extra flour or maybe the dough needed to be chilled in the frig for a bit. 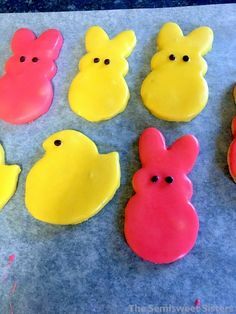 I know when I make these cookies it’s usually in the winter so my house is pretty cool but since its hot & humid most places this time of year it might make the dough too soft also. Omg I made this cookies the came out delicious I made it with gluten-free and wow it was m m good then in half the dough I added cream cheese ☺delicious, thank you so much ?? Hi Anna, I’m so glad your gluten-free version turned out great for you! Just made these and they turned out AWESOME! Thanks so much for sharing this recipe. This will definitely be added to my yearly holiday baking repitoir! Stephanie- I’m so glad you liked the recipe! Thanks for letting us know! Hi Brianna, I used salted butter. Oh no, so sorry to hear your dough wouldn’t pipe through the bag. I’ve never had that happen. I would definitely add less flour next time or you could add more melted butter to the dough if it’s on the thick side after you mix it up. I noticed you said melted butter however, in the recipe it says softened. Which one should I use? Hi, I use semi-melted butter. I usually microwave mine for 30 seconds to softened it up since I take it straight from the refrigerator. I’ve never liked super sweet cookies (a.k.a.) chocolate chip, peanut butter etc. These have been my favorite since childhood. As a dude and a new Pinterest user I will be buying a piping bag and making these today! Christmas Eve! I had a problem with the cookies holding shape in the oven. 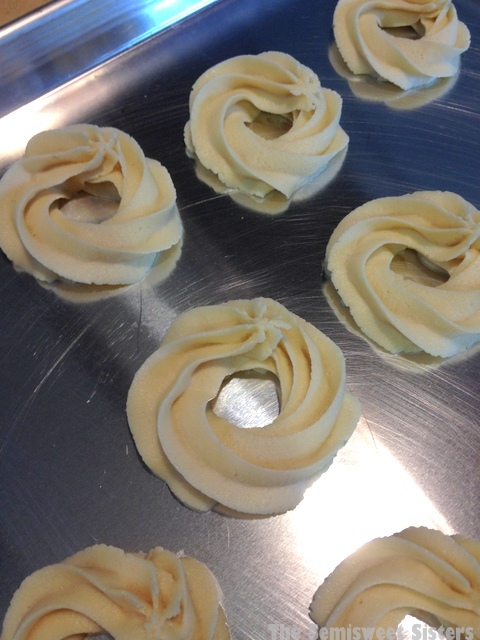 They piped really well but became flat and turned into a puddle of dough. This is the 3rd time making them and they turn out this way. What could be wrong? Hi Sophie, I’m sorry to hear that these cookies have not turned out for you. Have you tried adding more flour? Adding 1-2 tablespoons of flour may help. Also refrigerating the dough may help or piping out the cookies then placing them in the refrigerator 15-20 minutes before you bake them. Glad to hear that you liked them. I saw your blog post about them, it looks like yours turned out really nice! Hi Erica, I think it would be fine if you made the batter the day before & put it in the frig. I would just take it out of the frig a little early to let it warm up before you use it. Traditionally we would add almonds to the dough, just chop them really fine. If you want them more crispy, add potato flour ! Made these last year for Christmas…they were INCREDIBLE! At the point on the dough circle where the two ends meet, I put a silver dragées. It looked very elegant. Planning to make them this year as well! Thanks for the recipe!? Hi Stephanie! Thanks so much for sharing how much you liked this recipe! Adding silver dragees is a great idea! I appreciate the feedback! Have a Merry Christmas! Instead of piping the cookies do you think I could put the dough in my spritz cookie tube? Hi Bonnie, I think a spritz cookie press would work ok for this recipe. I haven’t tried it yet myself but I don’t see why it wouldn’t work, it might even be easy to use one of those. 1 cup salted butter means 2 sticks salted butter? Hi Joan, Yes 1 cup of butter is 2 sticks of butter. Hi Katie, I want to use cookie cutters would that work? Hi Vada, I’m not sure if cookie cutters would work well with this recipe, the dough isn’t as thick as roll out dough you would normally use a cookie cutter with. Hi Jill, Yes unsalted butter will work. To substitute unsalted butter for salted butter, you can add 1/4 teaspoon salt per 1/2 cup unsalted butter (if desired). Do you sift the flour and then measure? Hi Mary, No I don’t sift the flour. Turned out very flat and not as sweet as i would have hoped. Sorry to hear the recipe didn’t turn out as you hoped Micky. I noted in the post that if you want thicker cookies to add 1-2 tablespoons of flour because they are a flatter cookie so that might have helped. These cookies are not as sweet as most, they are supposed to have a rich buttery flavor instead. Would you happen to have a link to the recipe with metric measurements for any Europeans among us? Yes, the link to the recipe in metric is at the bottom of the recipe in red if you click where the recipe was adapted from, it is a different recipe though calling for vanilla paste. 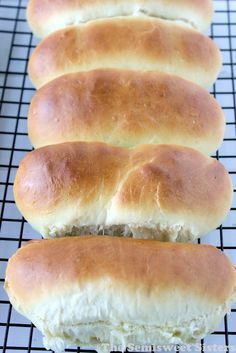 I tried this recipe yesterday and they are delicious! I didn’t have vanilla extract so I replaced it with lemon extract, and I only had 1 stick of butter with salt and another unsalted. So I made it anyway and they turned out great! 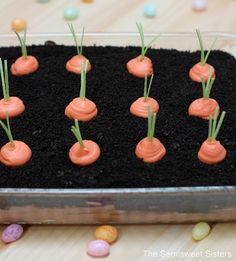 I think the next time I bake them, I will dip them in chocolate. I bet it”s going to be even better. Hi Carmen! Thanks! I’m so glad you liked the recipe. I love the idea of dipping them in chocolate, sounds delicious! hi kate i would like to make these cookies with out butter. will it be ok if i replace it with cooking oil. Hi Ayni, I don’t think these cookies would turn out very good with oil, they are a butter cookie so the flavor of the cookie comes from the butter. Also ff you do try oil the I worry the cookies might spread too much. I have found that butter substitutes like Fleischmann’s original spread work pretty good in recipes. Hi Ginger, I have never used vanilla sugar but I think it would probably help to add vanilla flavor to the recipe. hi Katie i wanted to knw tht the temp u have mentioned in recepie is 400 is it 400 F. and wht it ll be in C.
Hi, Yes its 400 F. the conversion is about 200 C.
Can you freeze the cookies after they are baked and or the cookie dough after it’s pipped. Hi Tori, I have never tried freezing these cookies or the dough but I think it would be okay to do either or. Danish cookies have a rectangular shape. How can this shape be achieved with this dough. 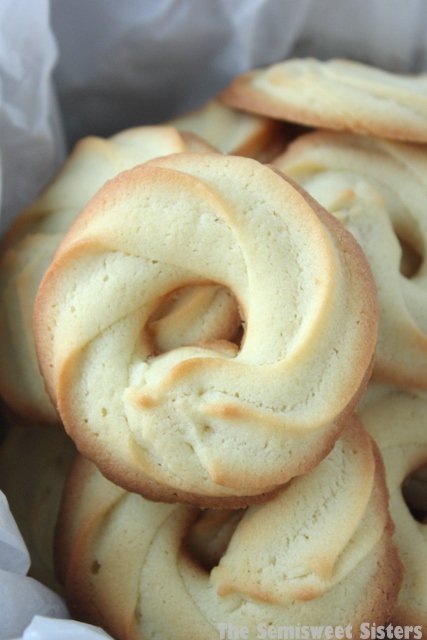 Some Danish cookies have the round shape like the one’s I have picture, that look like the Royal Dansk brand Danish butter cookies. If you want a rectangular shape another recipe might work better, one that uses cookie cutters perhaps. Hi Esther, The only difference is one has salt added, one does not. It just causing a change in the taste of the recipe. If using unsalted butter you can always add the salt into the recipe. Hi Katie , Looks good, I assume that is F not C after 400?! Hi Denny, Yes I am in the USA we use Fahrenheit, 400 Celsius would be nearly 800 degrees in Fahrenheit which ovens do not go to. Thanks! 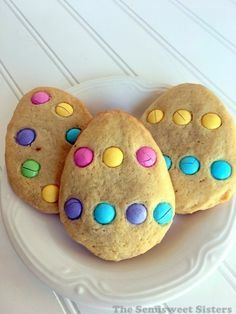 I have always adored these cookies! Anytime I saw that little blue tin I would get so excited….I made them, and they turned out so amazing!!!🥰. I wish I could send a photo, I did the green and red sprinkle on top. Adorable Christmas presentation. Thank you so much for the great recipie. Hi Kitty, We are so thrilled that you liked our recipe. Thank you for taking the time to comment, we appreciate it! If you want to share a picture of your cookies you could post it to our facebook page: https://www.facebook.com/thesemisweetsisters We would love to see it! Thanks!